Okay I am a bit late for this but better late than never right? 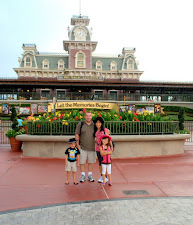 We are busy preparing for our next big travel so each day we are doing some preparation. 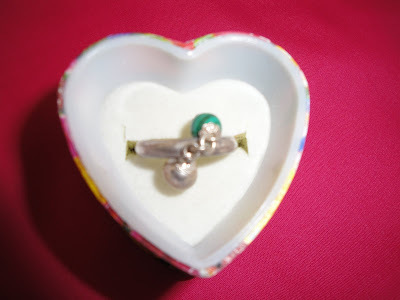 My husband is never "kuripot" when it comes to giving gifts so when I met him, I started getting jewelries which I never had then. I actually don't approve it that he gives me gift every occasion because when he buys a gift, he wants high quality which means high price too. It doesn't matter how much it cost for it, as long as he like it, he will buy it (It's different now though, I am now in control lol). Which is my contrary because I am all about saving for the future. But anyhow, when I was still in the Philippines I have no control about his spending habit so I got all these. 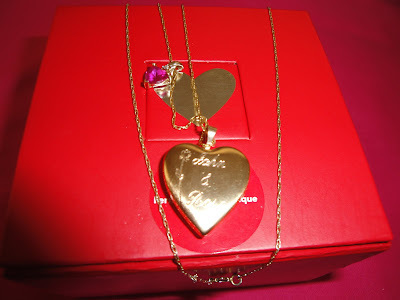 He gave me this photo necklace for Mother's day in 2006. Our names and initials are engraved on it. I received this one from a dear friend over in the Philippines. She was the owner of the photo studio that covered our wedding video and photos. She was one of our Ninangs (god mother) during our wedding. My former boss, also our ninang to our wedding and John's godmother in baptismal and confirmation, gave me this one. Ninang Rose and I shared the same first names. This one is suppose to be a healing bracelet that I bought here in Korea.. 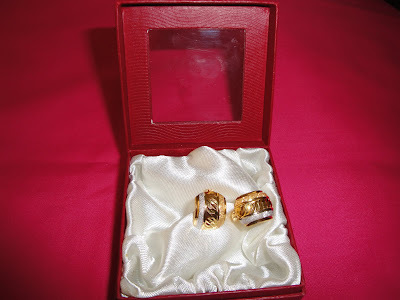 These are our wedding bands when we got married in civil. He planned to buy a set of ring every year but I said no. But he did bought another set for our church wedding (he is a spender ya know). The one at the center is my college ring. That's the only jewelry I bought for myself when I was working already. The other two are my husband's. John bought this one in eBay, he said that it protects you from harm. 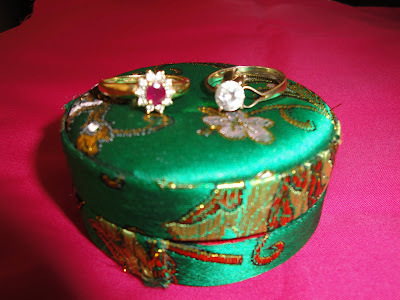 The Ruby ring was given to me by my father in law. 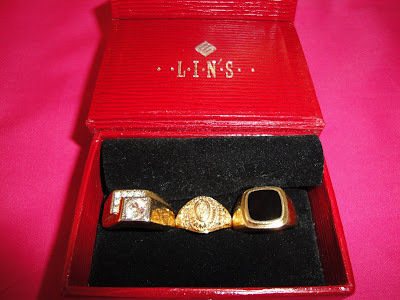 It belonged to my mother-In-law whose name is Ruby. The other one was made as a payment to me by a former friend who borrowed money from me but can't pay it so she gave me her ring. 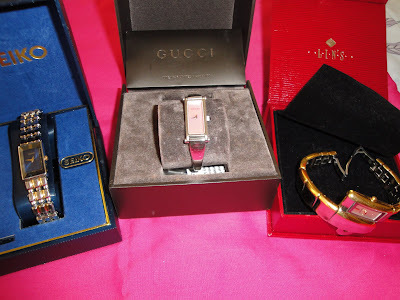 The watches that John gave me. I love the gucci one but also like the seikos. 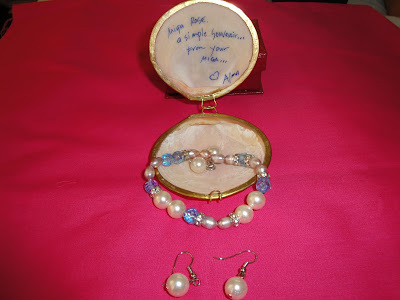 These are the first set of jewelry he first gave me when he first met me. I love the style of the ring but not very fond of the bracelet. Too big and flashy lol.. I only wore it once. So if anyone would want to buy it, just contact me (I am serious). She gave me this as a wedding gift during our church wedding. The bracelet has different color, I haven't clean it lately. 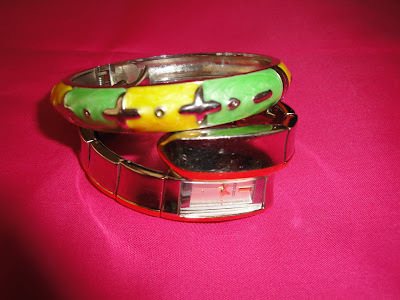 I used the bracelet often. He also gave me this earrings as wedding gift. 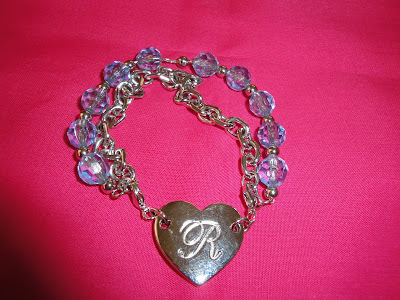 I wore this and the bracelet and necklace on my wedding day. Oh I love hoops earrings! 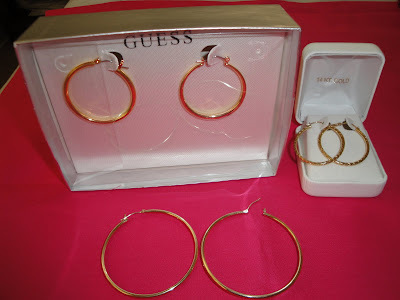 Dhemz gave me the guess one (thank you so much manang ko). Hubby gave me the little ones for my birthday last 2007. He gave me the big one for mother's day this year. This is my favorite ring. 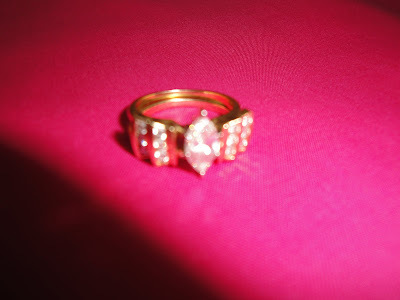 A 2 karat diamond with a guard ring. The guard ring is separated from the main ring, I usually don't use the guard ring. 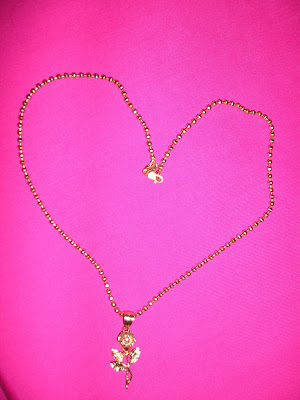 This one is also his first gift to me, a combination of white, rose, and yellow gold chain with a rose flower pendant. So that is it... If you want to buy some of those, just contact me. I am seriously want to get rid of some coz I don't use them. I care for sentimental values but I want to be practical. what do you think? wow naman ate rose! 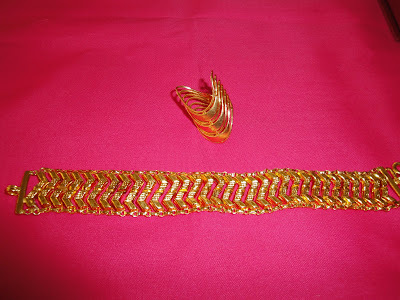 naninilaw at nagniningning ikaw sa dami ng jewels mo! aken na isa! joke! meron talaga ganyang tao.. mahilig mamigay ng precious items as gifts. ganda ng collection mo. you keep them para family heirloom nyo na lang din. rylie would appreciate receiving one of yours pag older na cya. naku, empake na naman kayo? san na naman kayo after korea ate? naku, ganyan talaga yan. kami rin, empake ulit after 3 years. naku, ingat ha! hugs ate rose! 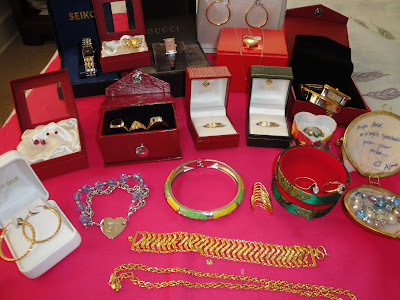 sis penge naman.. grabe dami nyan ah.. tindahan na yata ang closet mo eh.. hehehe, puro naman mga expensive glories yan..
Wow! Ang dami nyan ah Rose parang nasa jewelry store na ako when I saw this.I love the Ruby the most,simple yet so lovely. I just came home & nagyon pa lang din ako magpopost ng GT ko. Hindi ako nakakapasyal dito.MIL's in the hospital since last week & 'm preety quite busy out here & can't do my usual blog hoppibg like 'm always do.But then pag may time for sure will read all your post in here.I 'missed visiting here Rose. I'll visit your Copule's Corner post too,tapusin ko lang yung ibang gawain ko.Mwah! Hugs & kisses to Rylie & EJ! Sana manalo si Rylie sa contest ano. These are lovely pieces of jewellery. You have keep them well. dami naman, at least Rylie don't have to worry about buying in the near future, lol! pwede bang pahingi ng isa? lol! ang dami ha? galante si john. dito sa pinas di mo maisusuot yan kung magko-commute ka. malingat ka lang, pag-uwi mo wala ka ng alahas. grabe dito. 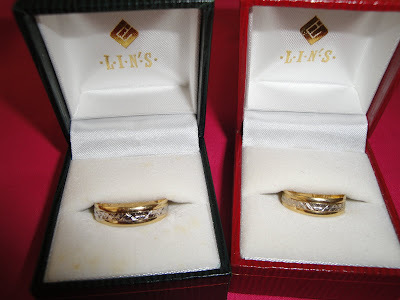 Ang dami naman, parang jewelry store na ah, hehehe..kabaligtaran talaga ng hubby mo ang sa akin..si hubby, minsan lang akong binilhan ng jewelry, yung wedding ring ko..for 8 years, di na naulit..hahaha!! love the hoops earrings mami? are you goingto sell those? how much?/ LOLZ as if my pera..
anyway, love the hoops earrings! aha...nanakawin ko ang mga ito...hehehhe! 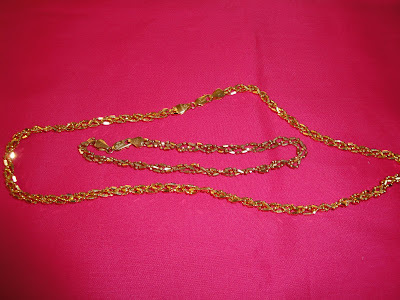 my golly gosh gosh sis bakla...super galante talaga ni juan ano....kaka envy yung mga jewels mo....pede pahiram yung iba....lol! parehas pa tayo ng earrings...tapos yung hearth pendant din...hehehhe! salamat mare at kahit busy ka join ka pa rin.. dahan dahan sa pag iimpake ha.. ingat lagi!! Hintayin mo na lang sana,lumaki ang anak mo. lalo na galing sa hubby mo. woww. ang dami mo ng jewelry collection Rose. ganda naman nyan. very sweet talaga si hubby. thanks for visiting my blog sis! i agree with you, for practical reason. but that's already an investment. habang tumatagal, tumataas din value. drooling over your 2karat diamond ring..
what do i think? I will not sell them if i were you. those were given by your love ones, you have good memories on each of them. puwede mong pamana kay Rylie pag malaki na sya. wow, daming nangingislap :-); they love you so much that is why!